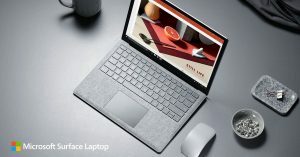 Bad news for Microsoft, the non-profit consumer advocacy group Consumer Reports has pulled its recommendations for Microsoft’s Surface line of products. The withdrawal of its recommendation centers around what the group cites as the worst failure rate in the industry. Consumer Reports conducts its surveys, and in a recent poll of 90,000 laptop and tablet owners, found that at least 25% of owners had issues with their devices before the end of the second year of ownership. According to the publication, the failure rate is the worst in the industry when taking the mainstream manufacturers into account. Since the launch of the Surface line of products, Microsoft enjoyed an outsized amount of positive coverage. The coverage compared the innovation compared to traditional PC makers and Apple. Several industry leaders dispute that characterization, citing innovation by PC makers for years that did not get the same level of attention.